The classic gray/black Army physical training uniform has been replaced by this cool new gold/black design. Plain Army logo on the front glows in the dark for better visibility during early morning and evening jogs. Designed to wick away moisture and help regulate body temperature through changing seasons and high activity. Made in the USA to strict military specifications, you won't find a single stitch out of line! Get moving! Order your IPFU today! 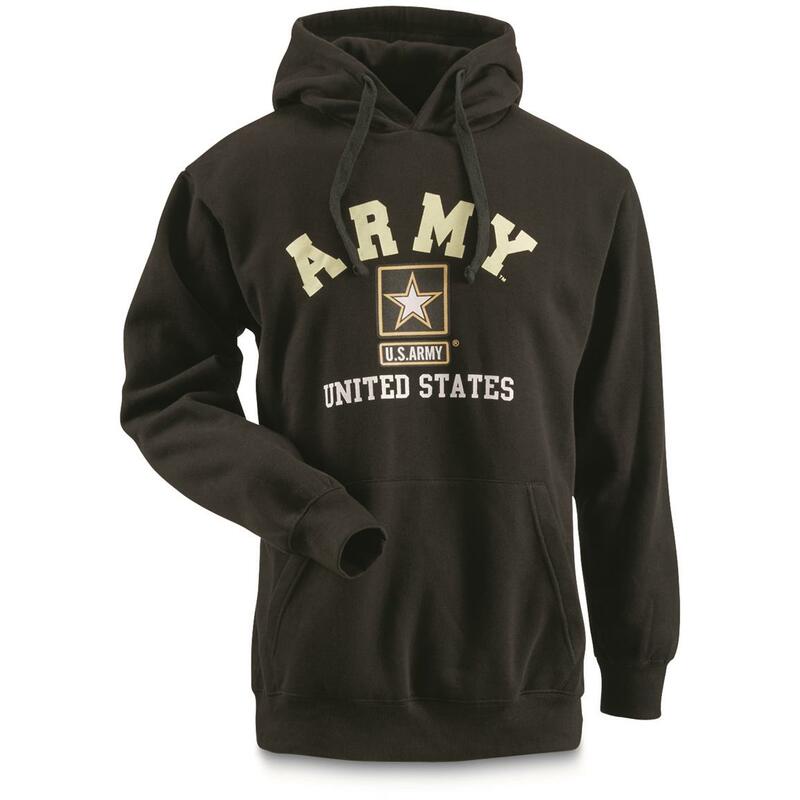 U.S. Army Military Surplus IPFU Hooded Sweatshirt, New is rated 4.4 out of 5 by 5. Rated 4 out of 5 by Josey from To Small Nice but need to return, way to small, like ladies or child. Rated 5 out of 5 by the reverend from U.S. Army Military Surplus IPFU Hooded Sweatshirt Size men's XL was right on. Great item for the price. Thick sweatshirt. Rated 3 out of 5 by GrizzlyBob from Way to small!!! Great quality. Runs at least 2 sizes small, this XL looks like a child's size,. Sending it back! !